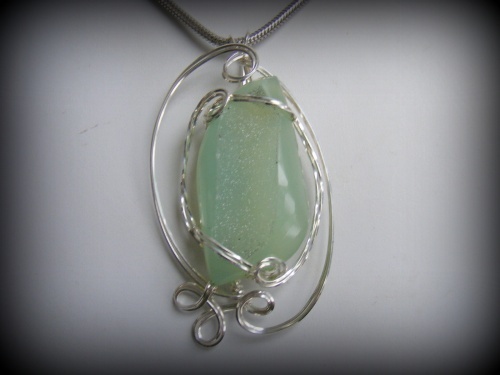 This sparkly aventurine druzy is so unusual and with the sterling silver metalwork on it, it just stands out even more. One of a kind. This piece measures 2 1/2" from top of bail to bottom of pendant and 1 1/4" wide. Comes with a sterling silver snake chain.